With so many people going online for work, school, and play, finding the best ISP is essential. The following picks represent the best DSL, cable, and dial-up providers in the business. In an article ranking the best ISPs, PC Magazine named Verizon fiber-optic broadband the fastest ISP around, beating the fastest cable and DSL speeds. ConsumerSearch also named the company a top ISP, citing its proven customer satisfaction along with speedy uploads and downloads. Unfortunately, the service is not available in all areas. ConsumerSearch named Earthlink the best cable ISP, proving to be fast and reliable. The site also praised its spam filter and security features. Earthlink also tops the ISP list at PC World for similar reasons. It received the highest overall service rating and top-of-the-pack scores in reliability and spam blocking. In the PC World survey, Cablevision was a highly-ranked contender for the position of best ISP. It received a 78 percent rating for overall service, tying for second place. Cablevision also had the highest reliability, download speeds, and upload speeds and respectable tech support ratings. Road Runner was another top PC World pick. It tied for second in overall service with a 78 percent satisfaction rating while also receiving the highest tech support rating and high scores for reliability and speed. Optimum Online boasted the most satisfied customers in the PC Magazine survey. In what was probably a related statistic, it was also named the fastest cable ISP. In addition to speed, Optimum Online prides itself on its security, technical support, and fun features like Rhapsody radio stations. According to PC Magazine, Speakeasy led the pack in speed among DSL services while also offering satisfying customer service. 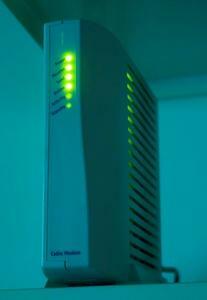 NetZero is a respected name in budget Internet solutions. PC Magazine named it the fastest dial-up ISP, clocking in at 43 percent faster than AOL. ConsumerSearch also recommends NetZero, making note of its free dial-up offer - customers can enjoy up to ten hours of ad-supported Internet access at no cost. If you require a high-speed connection but live outside cable and DSL service areas, a satellite ISP may be just what you need. However, the cost for equipment and monthly access is prohibitive, a lag makes online gaming difficult, and providers often set monthly limits on bandwidth use. HughesNet and WildBlue are warmly welcomed by thousands of rural customers, though. PeoplePC was a top pick at ConsumerSearch. Even though its dial-up speeds are no match for cable and DSL providers, it provides unlimited Internet access at an affordable price.